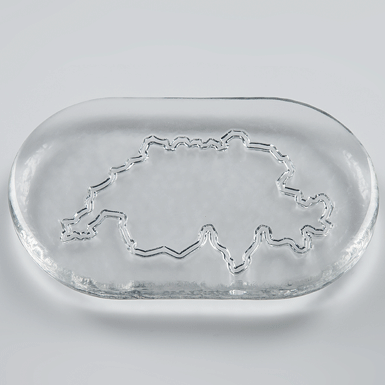 The butter plate with an outline of Switzerland is perfectly suitable for engraving. Click on “Engraving” to design your own engraving. Production method: Hand-poured into the mould.